If you want to experience Europe from a whole new perspective, consider glamping on your next vacation. This portmanteau of “glam” and “camping” is a type of vacation that puts you in touch with nature, but in a clean, comfy way. Find out where to glamp in Europe and what you should bring along. It’s a phenomenon that has sprung to life in the last ten years and shows no signs of slowing down: glamping. Glamping is the ideal vacation for someone who wants to experience the great outdoors, but prefers a bit more luxury than traditional camping provides. Glamping is a posh alternative to camping, with treehouses, yurts, teepees, and safari tents (among others) replacing those traditional canvas tents that your family used on childhood vacations. It is also an amazing way to experience a unique European vacation, offering a look at the continent’s most stunning natural wonders while maintaining an air of comfort. Where Can You Go Glamping in Europe? Glamping is available almost anywhere that you might want to visit, especially in and around the most touristy spots in Europe. Perhaps you want a decked-out yurt in a field of edelweiss in Switzerland, a canvas lodge in Noirmoutier Island, France, or an old-fashioned Dutch caravan in Algarve, Portugal? All three are glamping options. Dreaming of a coastal vacation in Cadiz, Spain? There’s a choza, a traditional beach hut, available for your enjoyment. Location is everything when it comes to glamping, and remote destinations have used this trend as a unique way to open unspoiled landscapes and remote communities to tourism. Although countries throughout Europe offer glamping, consider the following three experiences to jumpstart your glamping research. 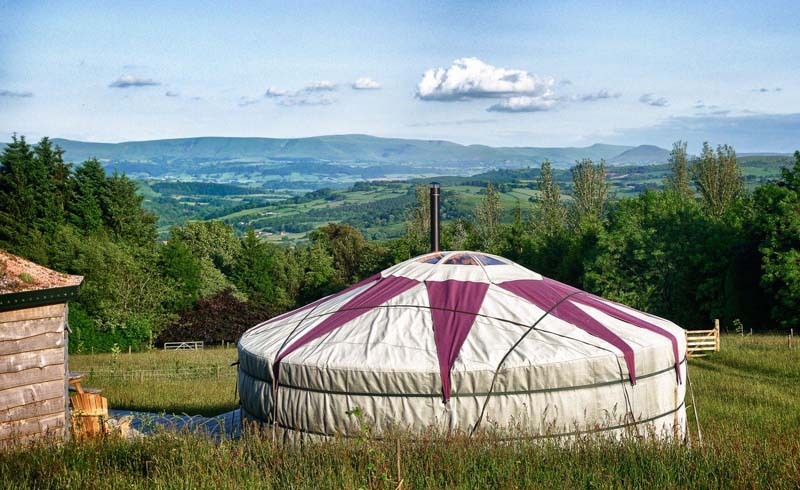 Wales, United Kingdom: The UK has a vibrant glamping scene and there may be no prettier place than Wales. Its verdant landscape is endlessly walkable. Visit in the late summer for the best chance at sunshine. Skiing in the Alps: Accessible from Italy, France, and Switzerland, the Alps offer a unique winter ski escape that you aren’t likely to forget anytime soon. A beach retreat in the Algarve: With sand, yoga, and surfing nearby, glamping spots in southern Portugal are ideal from spring through fall. As glamping has gained popularity, a wide variety of accommodations offer a range of modern amenities, like solar-heated bathing facilities, indoor plumbing (in some, not all, cases), gorgeous, four-poster beds, kitchens and dining areas, and more. Most glamping sites offer communal attractions like fire pits, play areas for kids, swimming pools, or more luxe offerings like massage services or aromatherapy. Consider the weather in Europe when choosing your glamping destination. Although the accommodations are a long step up from traditional camping, many still rely on the appeal of nature, meaning you should research each destination’s seasonal rains, snow, and sunshine when picking the perfect place to glamp. And just as you would research your hotel before booking, use glamping accommodation portals to research properties and read reviews from other travelers. Glampinghub.comand Glamping.com are among the most respected booking websites. In terms of packing, glamping is light years away from camping. There's no need to pack a tent, a sleeping bag, or extra layers of clothes for warmth at night. 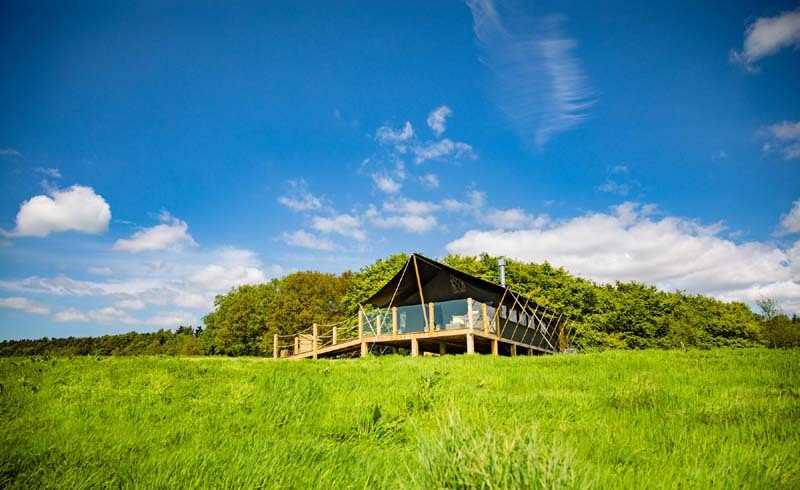 At the same time, you should always check with your glamping site ahead of time to see what will be available for you before you load your bags. You need the right packing system to carry only what you need. For instance, find out whether your site has a stove or whether you need to bring a portable stove with fuel or propane. This will be something that you'd rent or buy once you get to your nation of destination, since you aren’t going to bring one on a plane. You may need to bring your own bedding, even if your lodge/treehouse/yurt/tent has a bed. Again, this will mean buying sheets and other linens when you get to your destination. And don’t forget pillows! You might also need tableware: cups, bowls, plates, and silverware. If you are going to be doing any cooking, don’t forget required utensils like a potato peeler, sharp knives, a corkscrew, and a chopping board, for starters. You will also need to bring food, along with condiments and spices. You’ll want to plan all of this ahead of time, unless you are close to a town where you can regularly load up on edibles. This is all in addition to the things you’d pack for any trip, such as clothing (know the environment in which you’ll be staying! ), toiletries, medication, a first aid kit, and electronics. Glamping is an amazing way to experience Europe, simultaneously putting you in touch with nature and keeping you cozy in pampered surroundings. Have you been glamping before? What are the essentials that you pack for a successful trip? And do you have a favorite getaway spot in Europe that you’d like to share? Share your thoughts in the comments, below.